Chris Cox continues to star as ‘The Mentalist’ in the biggest & most successful magic show in the world ‘The Illusionists – Direct From Broadway’ and ‘The Illusionists Experience’, as part of the shows World Tour. In 2019 he will be starring in ‘The Illusionists Experience’ a unique intimate version of The Illusionists at the Eldorado Resort, Reno, Nevada and in London’s West End as part of The Illusionists 2019 Summer Season at the Shaftesbury Theatre. 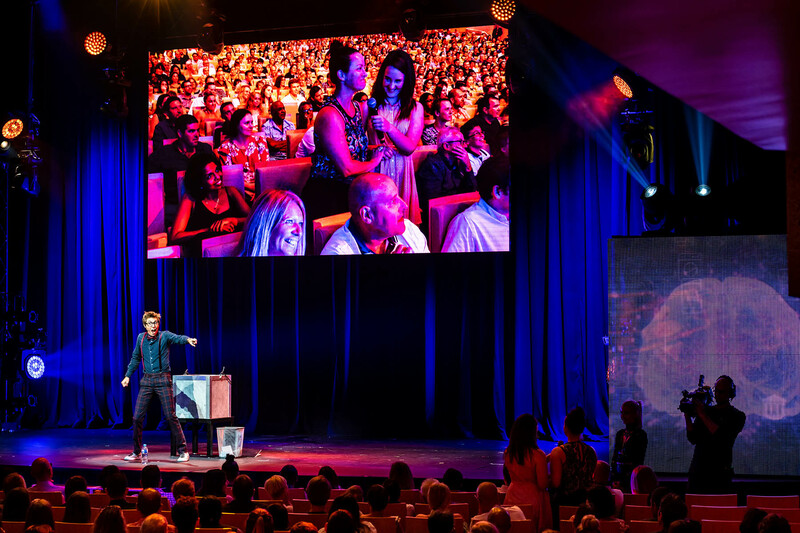 Chris has wowed arena audiences as part of the US Tour, in Cancun (Mexico) and Cape Town and Johannesburg (South Africa) and has been blowing minds as part of the 2018/2019 Australian Tour including getting 20 standing ovations in 20 shows at the iconic Sydney Opera House. After record breaking runs in New York, London, Asia and around the globe, Chris Cox stars in The Illusionists Direct from Broadway. “The Illusionists” has shattered box office records across the globe and continues to dazzle audiences of all ages with a powerful mix of the most outrageous and astonishing acts ever to be seen on stage. The show is packed with thrilling and sophisticated magic of unprecedented proportions. Witness stunning acts of grand illusion, levitation, mindreading, and disappearance in this mind-blowing spectacular that showcases the jaw dropping talents of eight of the most incredible Illusionists including Chris Cox as the The Mentalist. A self-proclaimed “mind reader who can’t read minds”. He is making a big name for himself at home in the United Kingdom as a funny, confident and charismatic performer; full of energy, warmth and charm. Chris delivers incredible mind-reading stunts with a silly and mischievous sense of fun that leaves audiences astounded, amazed and thoroughly entertained.